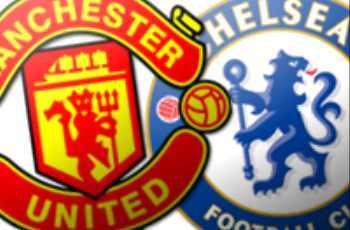 Chelsea travel to Old Trafford on Sunday in an eagerly-anticipated clash that should demonstrate whether they'll mount a serious challenge to Manchester United this season. The Blues have already made spectacular start to the Premier League. They currently sit two points behind United after four games. Chelsea will be without one of their main goal threats for this key game, Didier Drogba, is still suffering from concussion picked up against Norwich two weeks ago. Fernando Torres has improved his dissappointing from in the continued absence of Drogba as he grabbed two assists against Bayern Leverkuson in Champions League match early this week. Rio Ferdinand for Man Utd will return tonight while Nemaja Vidic is still out and Phill Jones will deputize as he is doing from past few weeks. Moreover, Rafael and Tom Cleverly remain injured and will miss the clash against the Blues tonight. 0 Respones to "Man Utd 3-1 Chelsea - 18 September, 2011"